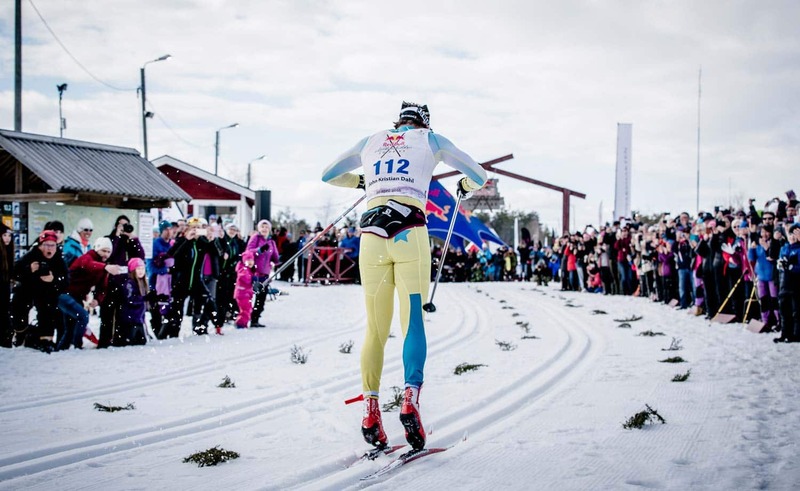 The world’s longest cross-country ski race, 220 km, take place in Jokkmokk. How did it all begin, and why? 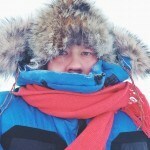 It’s hard to know what goes through the head of someone who’s about to travel 200 km on skis. Probably a lot of things. There are a lot of skiers too. 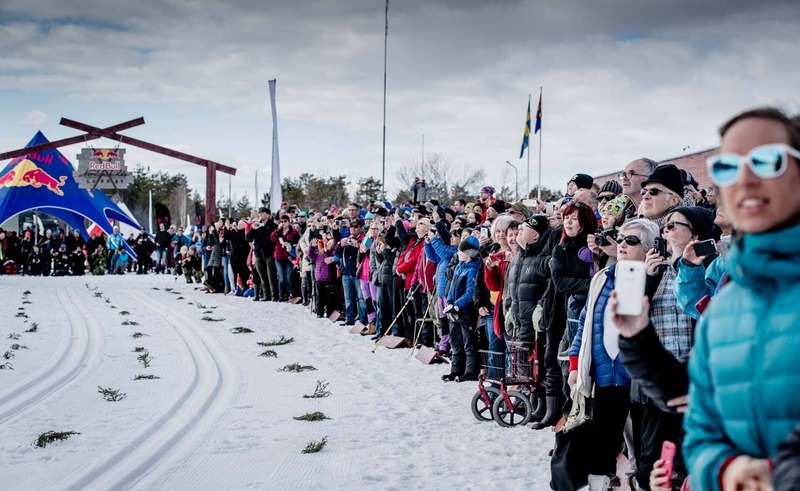 Every year, around 30,000 skiers participate in Vasaloppet, 90 kilometres. But when the race is another 130 km, then what? 220 km on skis seems to attract hundreds of participants rather than thousands. It’s tough, and for most people, the mental challenge is something they’ve never encountered. – “Let’s do it for fun!”, is what my cousin Viktor and I said before the race, Frida Lind-Oja explains. I’ve phoned her to ask what went through her head before the start of the first modern Nordenskiöld Race in Jokkmokk. – Here we were facing something we’d never done before, then it’s difficult to set competitive targets. But once you get started… Well, then the competitive devil inside takes over, she says, laughing. – I’m lucky to have such excellent training facilities just outside work here at Camp Ripan: the Matojärvi track and the Wolf pit. Then there’s Lompis – the Lombolo track – downtown when you want to practise using the ski poles. Being well prepared is always key. You can do Vasaloppet untrained. Lots of people have done it several times. It won’t be fast, it won’t be good – but it’s possible. But skiing 220 km untrained just won’t work, not if you want to make it while the competition management still provides timing. 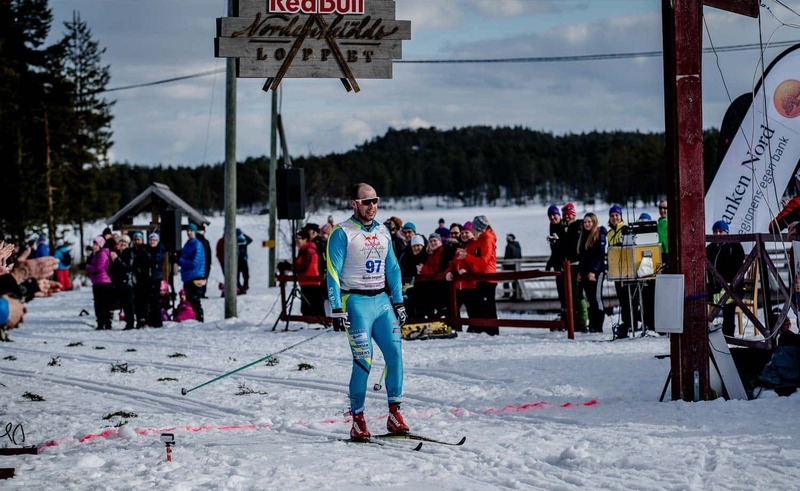 The modern Nordenskiöld Race started from Purkijaure in Jokkmokk on the 10th of April 2016. The modern version pays homage to the first race – Sweden’s first ultra-long skiing race. The modern race was supposed to be 220 km – just like the first race back in 1884. But the weather, now as well as back then, didn’t want to cooperate. A 180-km track was prepared, but some contestants protested – they wanted to ski 200 km – and if that’s what they wanted then, of course, they should be able to. An additional loop was added along the track. Wolfgang Mehl, 51, is the race organiser and re-discoverer. He says that the interest was much greater than he had imagined, and that many big names signed up late. This year more than 200 people have already signed up for the race, some of them giants of long-distance skiing: Jon Kristian Dahl, Anders Aukland, Jörgen Brink, Bill and Bob Impola. It’s going to be an exciting race. 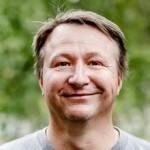 The editor-in-chief of the Vasa Race, Erik Wickström, has also signed up. 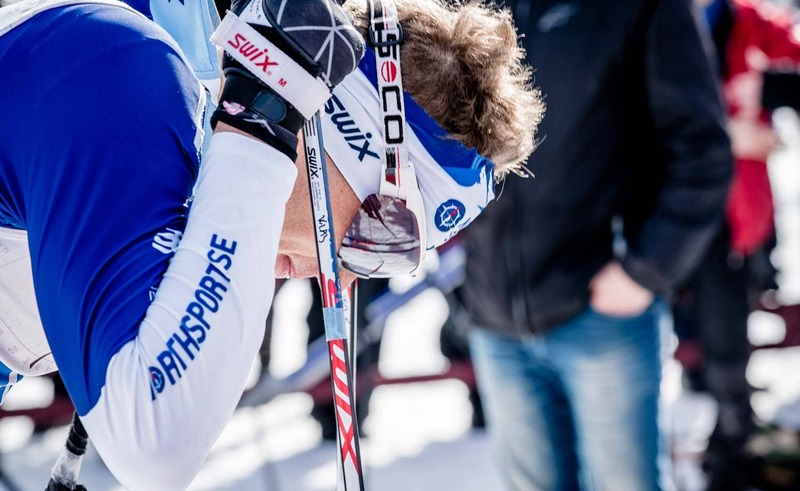 Erik holds the world record in long-distance skiing, having skied 439 km in 24 hours. You can read Erik’s tips on how to make it on the Nordenskiöld Race website. 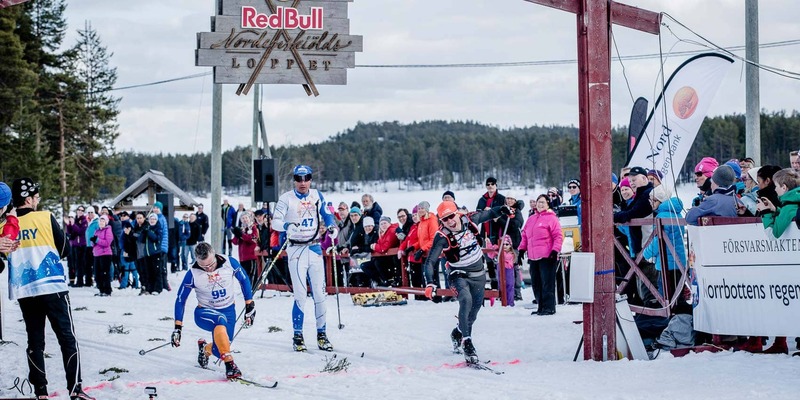 Wolfgang Mehl is very pleased to have Red Bull as a partner; they immediately saw the potential in arranging the longest and toughest cross-country skiing race in the world. They actually saw so much potential they made Wolfgang launch the competition a year earlier than he had actually planned. But where did it all begin, anyway? The modern version began in 2009 when Austrian Wolfgang Mehl, 51, attended the Jokkmokk Winter Conference. He fell head over heels for nature and the fact that you could ski for more than six months a year, so he moved there. Soon he heard people talk about the classic race and thought: “This is too good not to take further – the historic background, and a strong interest in the ultra distance”. So when Red Bull said they were interested all he had to do was launch the event in memory of a race that was held 132 years ago. In 1883 a certain Baron Nils Adolf Erik Nordenskiöld, Swedish but born in Finland, went to Greenland. Nordenskiöld was an explorer and geologist in search of raw materials, sponsored by the merchant Oscar Dickson from Gothenburg. Incidentally, Dickson would later figure in a trial that gave Swedish a word for dubious commercial practices. Nordenskiöld is of course best known for the Vega expedition, 1878–1880, opening the Northeast Passage. But in 1883 he was trying to cross the Greenland ice sheet. He didn’t make it. When he decided to turn back he let two Sámi from Jokkmokk, Pavva Lars Nilsson Tuorda and Anders Pavasson Rossa, go on a little skiing trip. Without more supplies than they could fit in their traditional gáhkti dress – dried reindeer meat and some snacks – the two Sámi left. 57 hours later they rejoined the expedition. They claimed to have skied 230 km towards the east before turning back. Apart from a miserable little snow storm that lasted four hours, it had all gone well. That’s 460 km on skis in 57 hours, and according to Tuorda Greenland was nothing but a great white mass – but an amazing place for a skier. He had never experienced better surface conditions, for sure. When the expedition made it home they were met by heavy criticism. Even Nansen argued that it wasn’t possible to ski that far in so short a time. So Baron Nordenskiöld turned to dubious businessman Dickson to ask if he would sponsor a ski race. And Dickson did. On the 3rd of April 1884, after being postponed because of lousy conditions, a 16-man strong line-up got going. One of them was Pavva Lasse Nilsson Tuorda, called a liar from the Greenland ice cap. Anders Pavasson Rossa wasn’t bothered about the contest. There was a pretty decent amount of money to be won. Pavva Lasse stayed in the competition until the end and actually won it – a mere five seconds before Per Olof Ländta – with a final time of 21 hours and 22 minutes. That’s an amazing time. 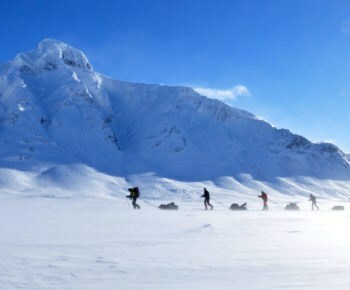 220 km untracked terrain with skis that weighed a ton. They also had a break in Kvikkjokk, 1 hour and 45 minutes, where they had a bit to eat and coffee and cognac for extra energy. 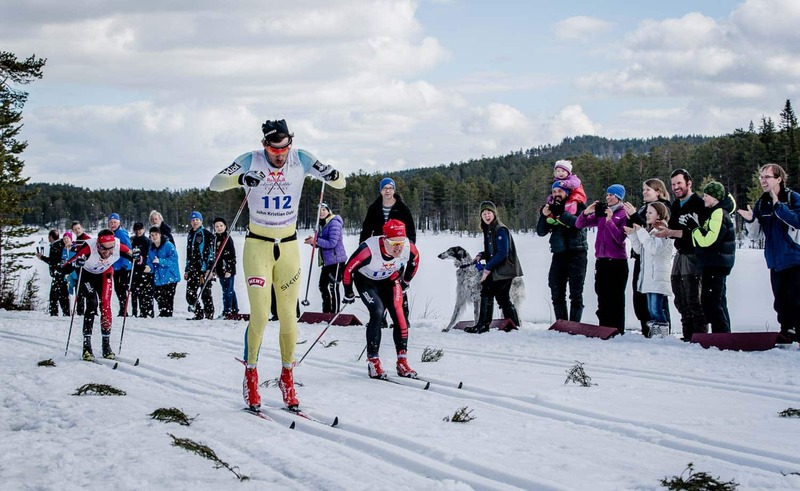 The Nordenskiöld Race will take place in Jokkmokk in the end of March. 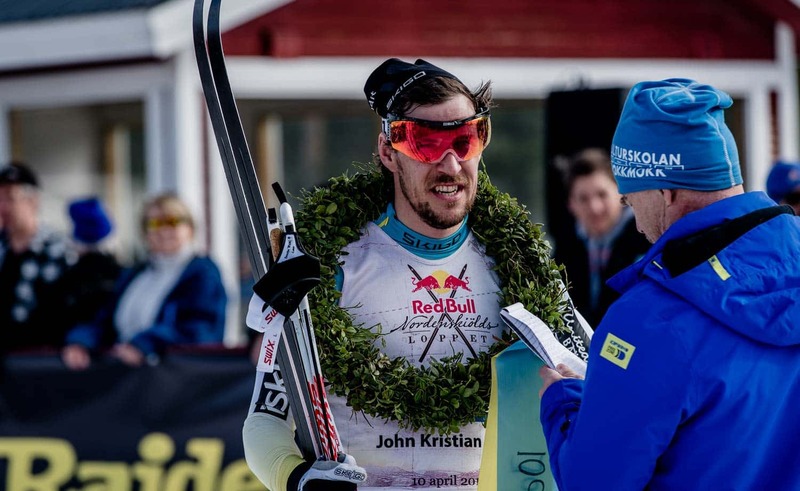 To learn more about the race, visit redbullnordenskioldsloppet.se. The first modern race also ended in a sprint finish. John Kristian Dahl, Anders Aukland, Øyvind Moen Fjeld and Jörgen Brink were all going for it at the end of the race. The Brink had to give up as the three Norwegians sprinted to the finish line. JK Dahl won, one second ahead of his compatriots. Aukland finished second and Fjeld third, on the same time. It’s difficult to imagine people actually having to sprint after 200 km. But then it’s also difficult to understand how people manage to ski 200 km in eight and a half hours. The women’s class was won by Lina Korsgren before Britta Johansson-Norgren. In the competition as a whole they finished 24 and 25. 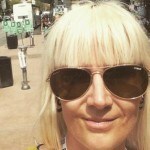 I ask Frida Lind-Oja what it felt like when she could see the finish line?  – Well, what do you think? Thank goodness it’s over! – It wasn’t until later I really felt happy with my achievement. There and then, approaching the finish line, I was just glad it was over. I remember how I sat down after the race. And I could barely get up again. Everything hurt. – But it’s strange how the body works. Four hours later, when we’d had a bite to eat and were chatting away, we started planning for the next race. Picture yourself on a pair of skis, with nothing but mountains and snow as far as the eye can see. But a direction, a goal somewhere behind all those mountains. 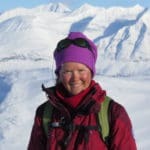 Hear mountain guide Mirja, describe it with her own words. 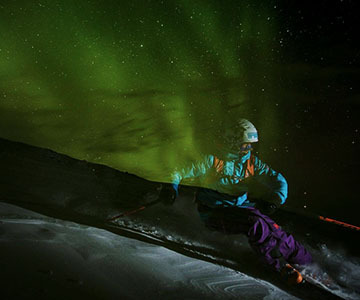 Last year, in February, three of the world's greatest freeskiers, Reine Barkered, Aurelien Ducroz and Jackie Paaso, went to Björkliden to see the northern lights and do some skiing. I called up Reine to ask how their trip went. And some other stuff too. 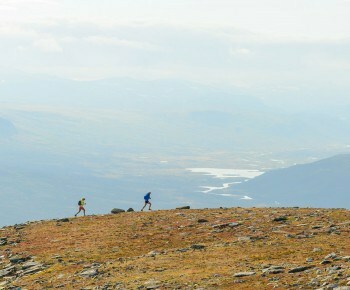 The most common way to experience King’s Trail (Kungsleden) is walking or skiing in a comfortable pace. But there are other ways – come along on an up-tempo journey through the scenic mountains of Swedish Lapland when Krissy, Luke and Fredrik takes on the challenge of spending a week running along this famous trail.